As a Fashion Merchandising and Marketing alum, I am always looking for ways to meet and get involved with creative people in Miami’s Fashion Industry. This is why I am so happy to be a part of such an amazing monthly Fashion Networking event, Fashion Happy Hour. 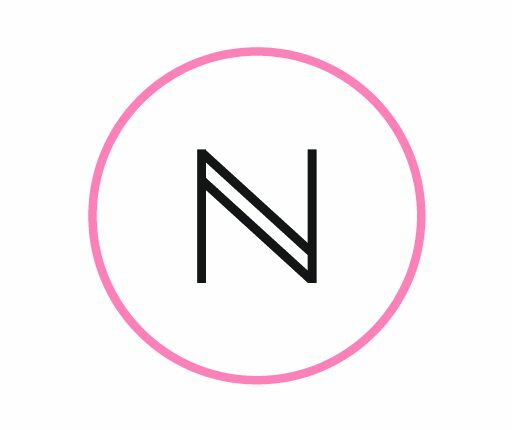 The event creates the perfect opportunity to mingle, shop, and enjoy a fashion show production with Miami’s Fashion Network. Every month, the Fashion Happy Hour Team and I put on a trendy event to help promote fashion-related businesses in Miami. 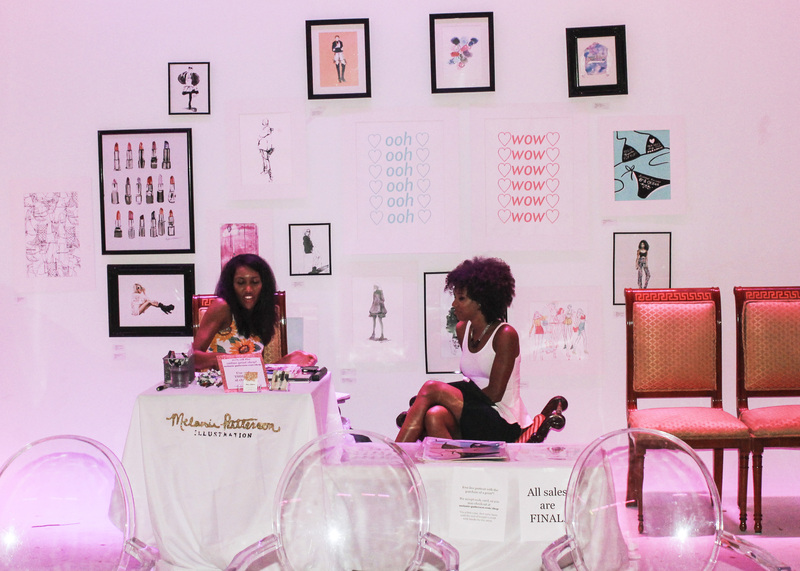 This Months Fashion Happy Hour was hosted at the LMNT. The host was the super stylish blogger Freshly Squeezed Fashionista. The fashion show included looks from Luxe Isle, Hang 2 Dry and Pure of Hearts modeled by the always professional and chic, DAMA models. 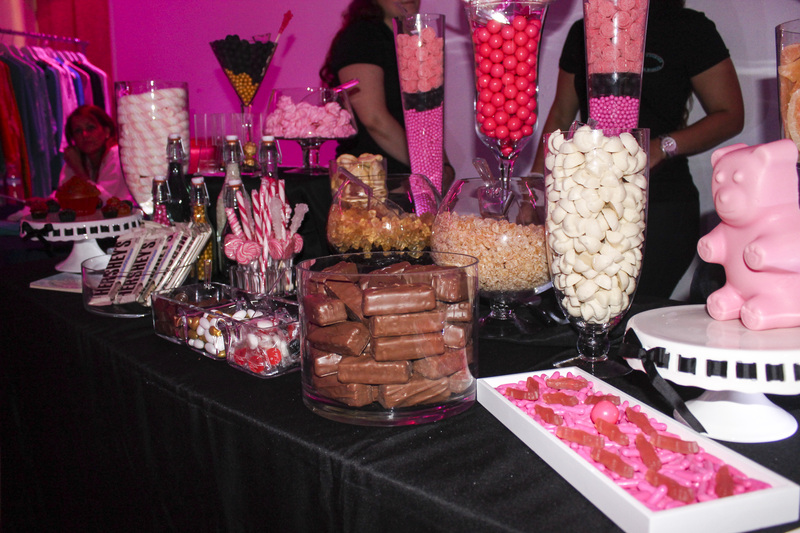 The candy buffet table, sponsored by Miami Candies, provided delicious treats. Plus the Fashion Happy Hour team received a sweet surprise at the end of the night – a giant chocolate gummy bear! Melanie Patterson, Kristina Espina and Chris joined us for amazing live illustrations. The photo booth with Fun Click was also a HIT!